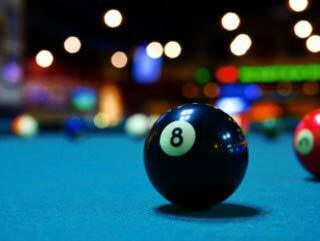 The Pool table movers and billiard table services SOLO have years of experience providing superior billiard services in Seattle, Washington and across the USA. All of our services are backed by ABIA guarantee, for leveling and quality on all applicable pool tables for an entire year after service. Pool Tables For Sale in Seattle is a courtesy on us. 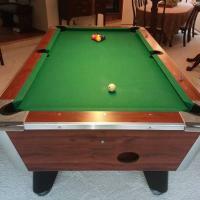 Search and find the perfect billiard table or sell a pool table for free! Browse pool tables for sale in Seattle, Bellevue, Renton, Kent, Covington, Redmond, Issaquah, SeaTac, Vashon Island, Tracyton, Silverdale, Shoreline, Lynnwood, Mill Creek, Bothell, Cottage Lake, Sammamish and more. Call us for pricing to move these pool tables professionally with our exclusive entire year written service guarantee protecting you from any potential problems with our professional installation. Price includes Professional Delivery and Set Up (valued at $950). 2 Sets of Balls and multiple used sticks included. Contact us to price your pool table move or sell a pool table for free. Browse through our classified listings and find the perfect table. The pool tables for sale listed here are sold directly through the contact person mentioned in the ad. Once you find the right table do not hesitate to call our professionals to get your free quote for the move. Pool Table Movers SOLO in Seattle is backed by the only national organization in our industry. Simply post an ad, the potential buyers will then contact you directly and either them or you can then contact us to get your free quote. We know for a fact that the most important aspect that allows for an optimum playing experience is a professional pool table assembly. On the other hand, if you want to sell a pool table, go ahead and post your ad. Whether you’re sizing down, need to relocate, or perhaps are looking to upgrade your current table. We can help you sell a pool table by offering this service at no cost to you. If you are looking for a billiard table that has a bigger playing surface, we advise that you measure your game room dimensions to make sure that it will properly fit to play comfortably. We are certified pool table movers, we also have a vast experience in a wide array of other pool table services. Complete pool table moves from one house to another from a residence to a business and vice versa, moves to a garage or storage unit, a tear down only, expert setup or an installation with leveling, and pool table repair services. Is the felt on your pool table is worn out? Taking care of your pool table recovering with new felt material ensures that you get the most out of your billiard table. We have a wide variety of color options to fit your decorative needs. We take pride in our workmanship. All of our services plus the felt provided is covered under our exclusive guarantee. Your satisfaction is what has made us the largest and most reliable company in the industry.